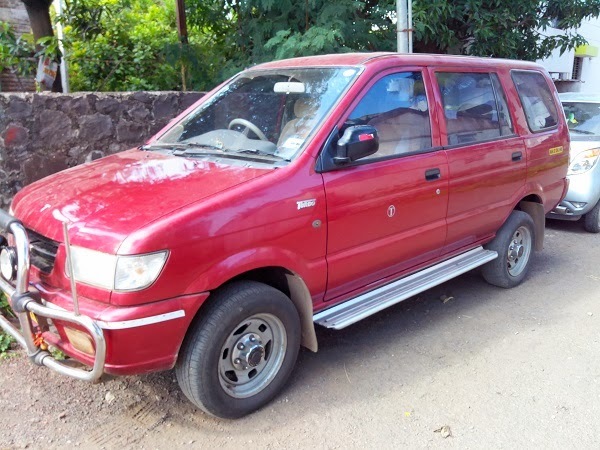 Tavera on Rent at lowest rate of Rs. 1200/-per day with driver. Diesel , toll and parking to be born by parties. Halt Charges are Rs. 200/- for driver only. Seating capacity is 6+1. All India permit vehicle. In normal case human is comfortable to travel 200/- km in a day. Therefore I am taking an example of 200km runnig per day. If you hire Vehicle for2 or more than 2 days then charges will be Rs. 1000/- per day. Means you will save more than Rs. 2400/- for two days. So what you are thinking call Mr. Nitish 9595000600 to book a Cab.